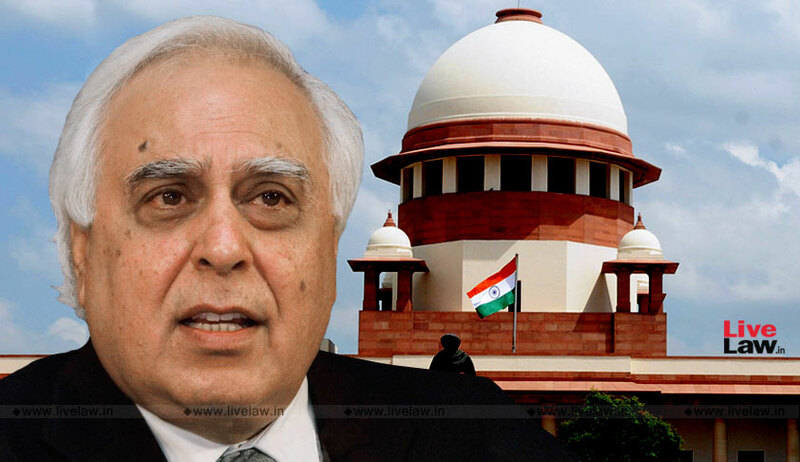 Senior counsel Kapil Sibal, while making his submissions in R.Sakkrapani v Secretary, Tamil Nadu Legislative Assembly and others, told the Supreme Court bench of Justice A.K.Sikri, Justice Ashok Bhushan and Justice S.Abdul Nazeer, that the confidence motion moved by a Chief Minister is itself a direction to the ruling party members to vote in its favour, and therefore, a whip is not required to be served on them. The issue arose as the bench is now considering the challenge to the Tamil Nadu Speaker P.Dhanapal’s failure to decide the petition seeking disqualification of the Tamil Nadu Deputy Chief Minister, O.Paneerselvam and 10 other members of the state legislative assembly for voting against the confidence motion, moved by the current chief minister, Edappadi K.Palaniswami, on February 18, 2017. The motion was carried by 122 MLAs of the AIADMK, who voted in favour of the motion. The petition seeking the disqualification of 11 members on the ground of defection was presented to the Speaker on March 20, 2017. However, due to the subsequent patch-up between the two rival factions in the ruling party, the Speaker did not decide the petition either way. Nor did he issue notice on the petition so far. The 11 members first contended before the Madras High Court and now the Supreme Court that they did not get any direction from the party’s whip to vote in favour of the motion. The Madras High Court took note of the fact that a similar controversy as to whether the court could direct the Speaker to disqualify MLAs was in issue in SLP (c) No.33677 of 2015, which had been referred to a larger bench. Although the petitioners before the High Court did not press the prayer for a writ of mandamus on the Speaker to take a decision, the High Court refrained from examining the issue, as the same is pending before the Supreme Court. On Tuesday, Kapil Sibal argued before the Supreme Court bench that freedom of speech of a member in the House, guaranteed by Articles 105(1) and 194(1) of the Constitution cannot protect a member, if he or she votes against a motion of confidence, contrary to the direction issued by the political party to which he or she belongs. A ruling party member cannot say that no whip was issued to him, he said. Relying on the language of Paragraphd 2(1)(b) of the Tenth Schedule to the Constitution, Kapil Sibal asked whether a ruling party member could vote against the budget, saying that he was not issued a whip. Earlier, Kapil Sibal explained that the courts cannot interfere as long as the Speaker decides the disqualification petitions before him within a reasonable time. He recalled that the then Law Minister, Ashoke Sen, while moving the Anti-Defection Bill in 1985 had said in Parliament that no court could interfere because disqualification matter should be heard expeditiously by the Presiding officer of the House. It does not mean that if the Speaker does not decide the petition at all, no court can interfere, Kapil Sibal contended. Relying on the Supreme Court’s previous judgment, he said the Speaker’s failure to deal with a disqualification petition is contrary to the Constitution. Arguments will continue on Wednesday.